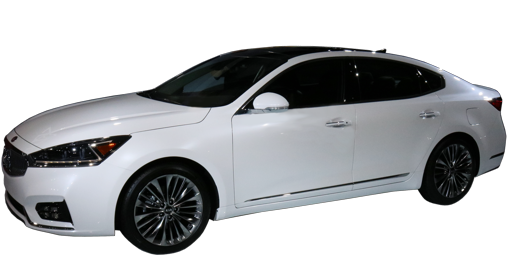 As we get new information on all of the 2018 Kias, this article will be updated. So bookmark it! Edited 8/28/2017: Added Soul and Sportage. Edited 10/15/2017: Added Forte Sedan. Edited 10/22/2017: Added Sedona and Niro. 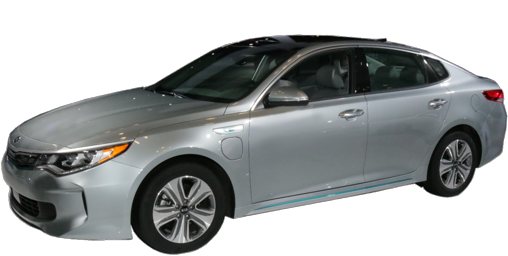 Edited 12/30/2017: Added Cadenza, Optima Hybrid, Optima Plug-In Hybrid, and Soul EV. Automatic one-touch up and down windows now also standard on LX. Smart Key is now offered as an option on LX. Heated rear seats are no longer offered. UVO Services, stadnard on S and EX are now also optional on LX. Blind Spot Warning and Rear Cross-Path Warning are now standard on EX; they are still optional on S.
Cruise control is now standard across the board. A power seat is no longer standard on S or EX, and is only available on the EX, and as an option. Memory seats, obviously are only offered on the EX, now. Heated front seats are also no longer available on Forte S Sedan. 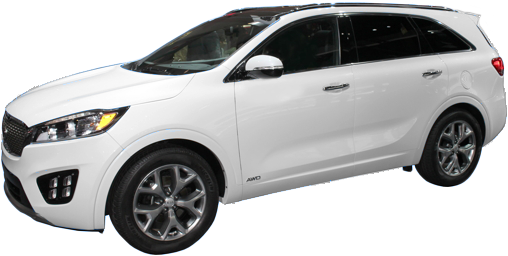 Niro will be offering a Plug-In Hybrid version for 2018. After charging for two-and-a-half hours it can run on electricity alone for a time (range not certified, yet). 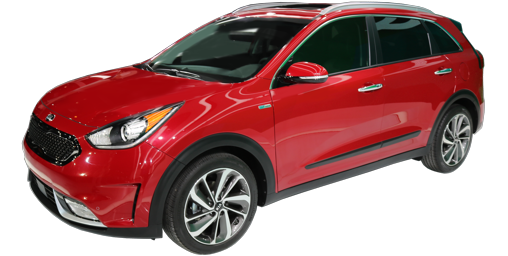 Forward Collision Warning, Lane Departure Warning, Lane Keeping Assist, Autonomous Emergency Braking, Smart Cruise Control, High-Intensity Discharge (Xenon) headlights, wireless phone charger and 115-volt A/C outlet are now standard on Niro Touring. 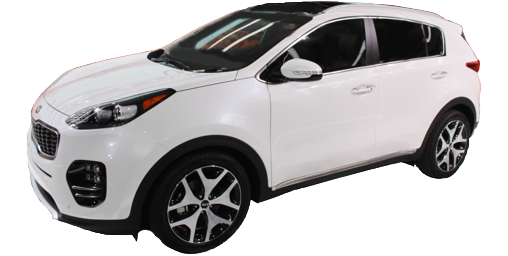 A Niro Graphite Edition will come with special wheels and unique paint. A lot of safety features are now standard: UVO eServices, heated outside mirrors, blind-spot monitor, rear cross traffic alert (warns when you're backing if a car is coming from the side, or sometimes a bird), and rear parking sonar warning system (in addition to the already standard backup camera). 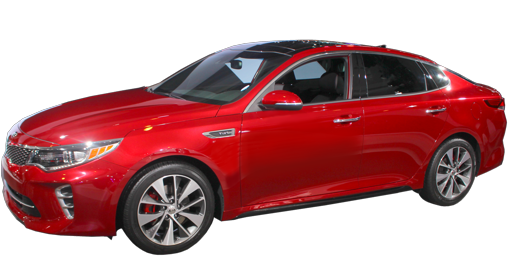 Optima S is a new model, tucked between the LX 2.4 and LX 1.6T. 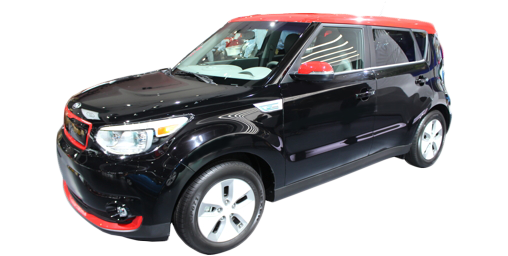 It shares its engine with the LX 2.4 and adds a 10-way power seat, fog lights, 17-inch alloy wheels and a rear spoiler. The SX Limited (or SXL) has been absorbed into the SX as three option packages: Aubergine, Ivory and Black. 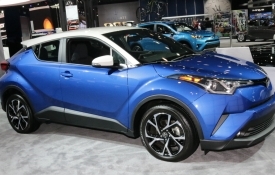 Electric-only range creeps up to 29 miles. 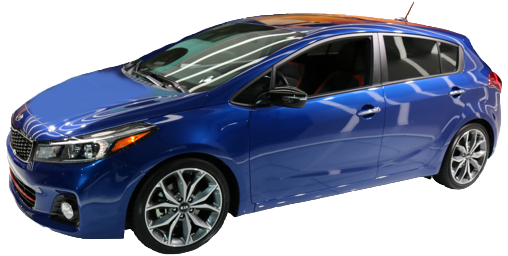 All-new for 2018, the Rio's engine stays about the same, though down by eight horsepower (130 horsepower and 119 foot-pounds of torque). It suspension is also carryied over. However, the brakes on LX and S models get downgraded to rear drums even as their front rotors get enlarged to 11", the same as this year's and last's top model (EX for 2018). The SX model is gone, and with it the 17" wheels: all 2018 Rio ride on 185/65R15 tires. 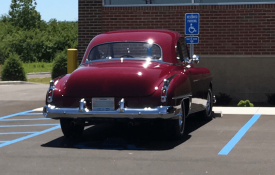 Front heated seats are no longer offered. Autonomous Emergency Braking is now offered, standard on the EX. Automatic headlights now standard on all trim levels. 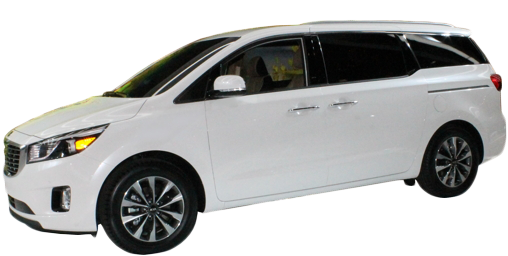 7-Passenger seating standard on all but L and LX 2.4 4 cyl. FWD. Rain-sensing wipers are now standard on SX and SXL. 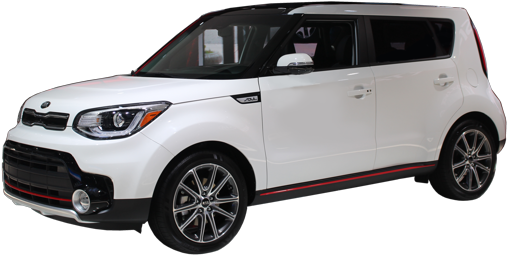 Autonomous Emergency Braking has been added to Forward Collision Warning as an option on the Soul +, making it eligible for the Insurance Institute for Highway Safety "Top Safety Pick." Smart Cruise Control is bundled in as well, maintaining a set distance in traffic. Automatic temperature control is now an option on base models. VEntilated front seats are no longer offered on the !, only the +. 10-way power seat is now extra cost on the !. 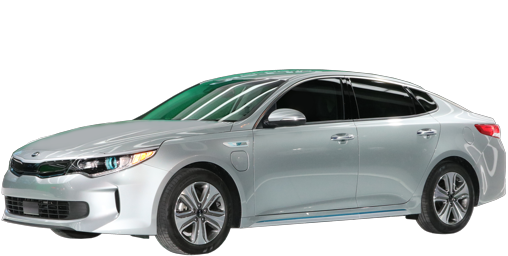 A more powerful battery (30 kWhr vs. 27) increases range to 111 miles. All-new last year, for 2018 Lane Departure Warning, Frontal Collision Warning and Autonomous Braking are all now offered on the LX as part of the LX Technology Package. 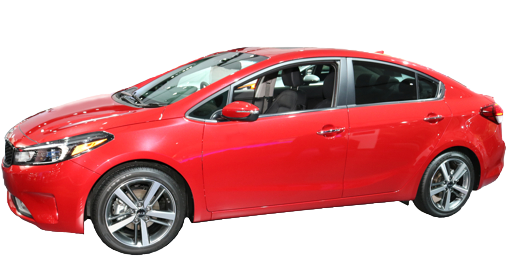 Kia is jumping into the compact sport-sedan fray, hoping to compete with such storied rides as the BMW 3 Series. They aren't going it alone, as the Stinger will share its chassis and engines with the upcoming Genesis G70. 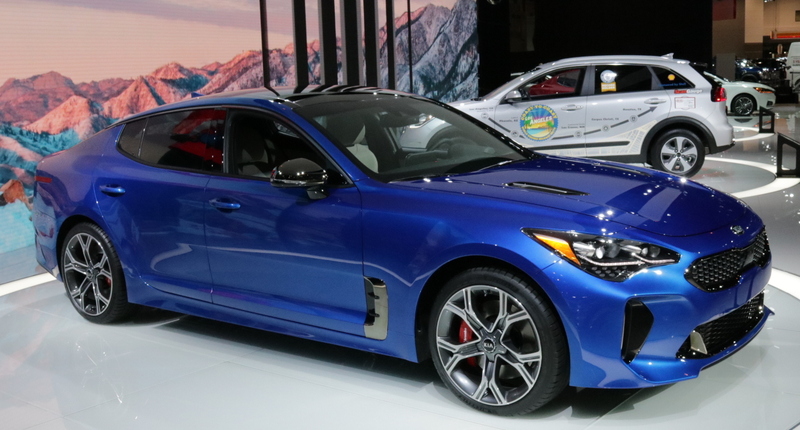 The usual suspects will tell you that a proper sport sedan has to have rear wheel drive or all-wheel-drive and the Stinger checks both boxes. A powerful engine is on the list: in the Stinger you can opt for the base 2.0 turbocharged 4-cylinder with 255 horsepower or move up to a twin-turbocharged 3.3 V6 with 365 horsepower. Manual transmission? No. Eight-speed automatics by ZF will shift quickly and provide refinement. Large brakes (up to 13.8" front rotors), a fully independent suspension with available electronic adaptable shocks and low profile tires round out the requirements. Conventional wisdom suggests that a sports sedan must be loaded to the gills with technology, and here, also, the Stinger delivers: Forward Collision Assistance, Autonomous Emergency Braking, Driver Attention Alert, Lane Keep Assist, Advanced Smart Cruise Control, Blind Spot Monitoring, Rear Cross Traffic Alert, Heads-Up Display and a fully connected infotainment system are all offered.